Whether you are lucky enough to live in the beautiful city of Sydney or are planning a visit, knowing where to go and most importantly the coolest places to stay is a must. Here are the top 10 hotels you need to book now.  QT Sydney is cool, quirky and luxurious, designed by Nic Graham and Shelly Indyk. The interior is an elaborately woven blend of edgy, deco inspired oversized furniture with a ‘through the looking glass’ feel. 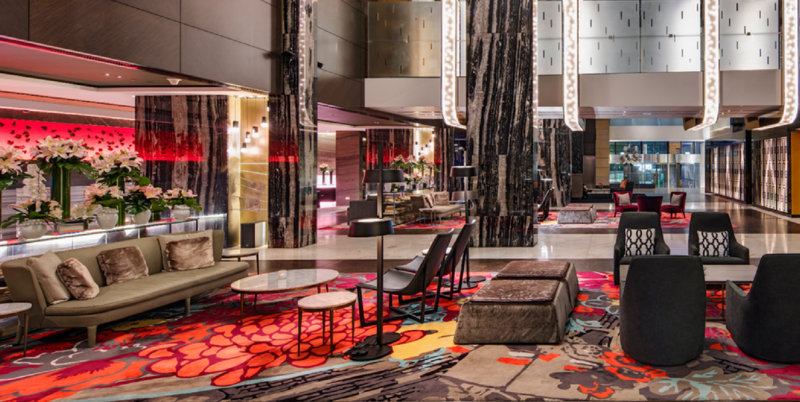 Right in the very heart of Sydney’s CBD, located within the historic Gowings and State Theatre buildings, QT Sydney offers guests a playful and decadent experience and with Sydney city at your doorstep, you won’t be short of places to see. 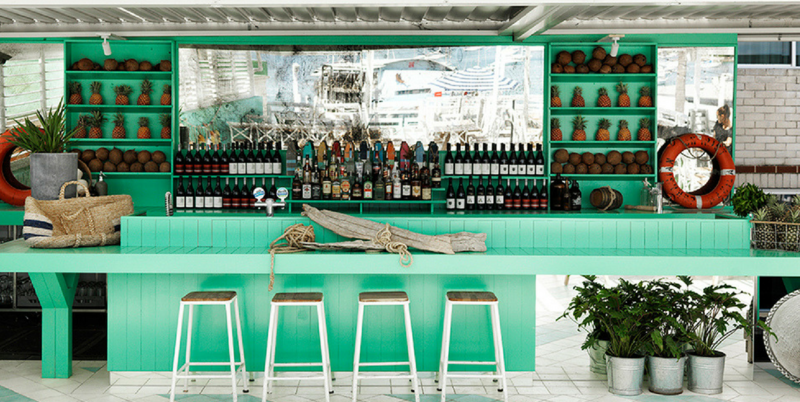 If beachside is more your style then never fear, QT Bondi is just as slick as her inner city sister! The ultimate beachfront location on iconic Bondi Beach, QT Bondi’s interior is fun, fresh and the very epitome of Sydney beach lifestyle. 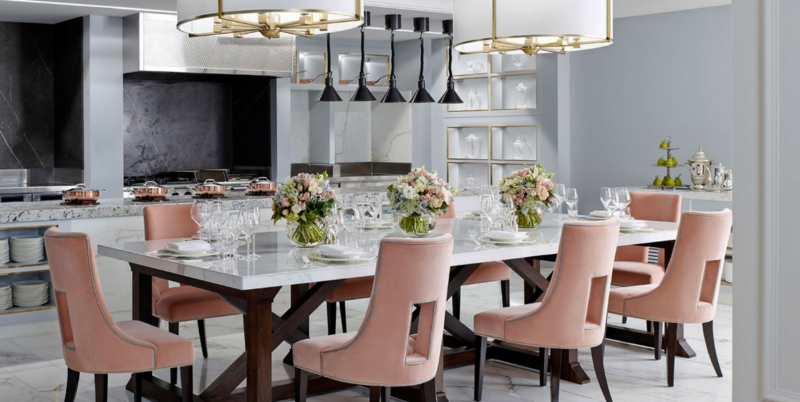 Designer Nic Graham once again transformed the space into a glamorous and enviable destination. With bright pops of colour and a light, modern feel throughout QT Bondi will leave you feeling refreshed. Moments from all Bondi has to offer, you won’t want to leave. Want impressive harbour views and a beach front location? Watsons Bay Hotel offers both. A sophisticated interior with a relaxed cabana style, striking aqua outdoor bar area, open air restaurant on the deck and boasting an amazing view of the city skyline, a visit to the Watsons Bay Hotel will see you staying in true Sydney beach style. A quick ferry ride away from the city, but secluded enough that you truly feel like you have been away. If decadence is what you are after, then The Langham Sydney is the answer. A refined and elegant interior, a spectacular pool under a starlit sky and located in the heart of the historic Rocks precinct, this luxurious hotel ticks all our boxes. Make sure you treat yourself to the Wedgewood Afternoon Tea in the Palm Court. Another historic gem in the heart of the city is the Ovolo 1888 in Darling Harbour. 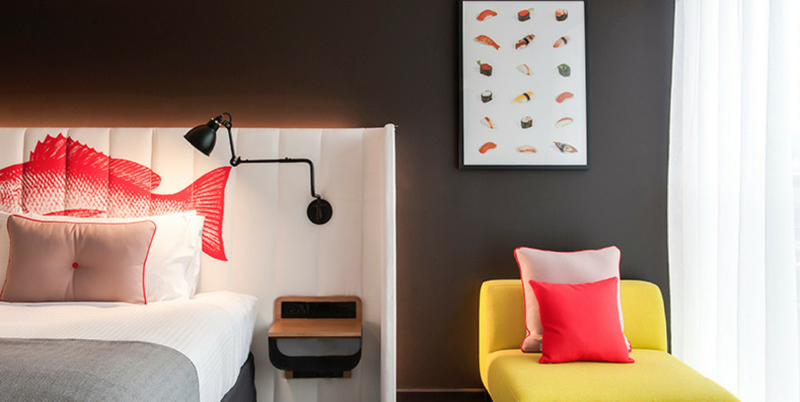 The interior, designed by Luchetti Krelle, is brooding and ultra cool with fun splashes of colour and a stone’s throw from the harbour itself this modern, edgy and hip hotel has plenty to offer. Instagram eat your heart out, with more photo opportunities you may find it hard to leave and explore the city! Just above the docklands, nestled in the heart of the Rocks, this historic hotel boasts unrivalled views of the city and harbour from every angle. 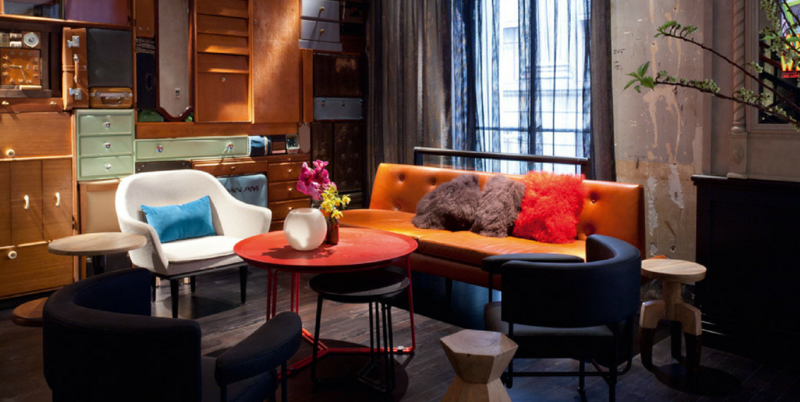 The colourful character of this hotel has been revived by designer and stylist Sibella Court and architect Alex Popov. 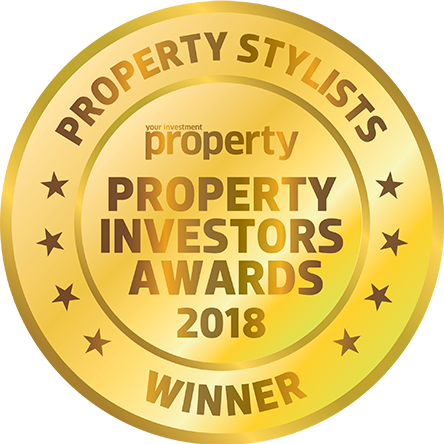 The rooms are luxurious with coastal elements and industrial hardware reminiscent of its ‘wharfie’ roots and the rooms also have hand painted ocean murals by Neil Mallard. The cocktail bar is spread over two levels with an impressive selection that will go perfected paired with the panoramic views. 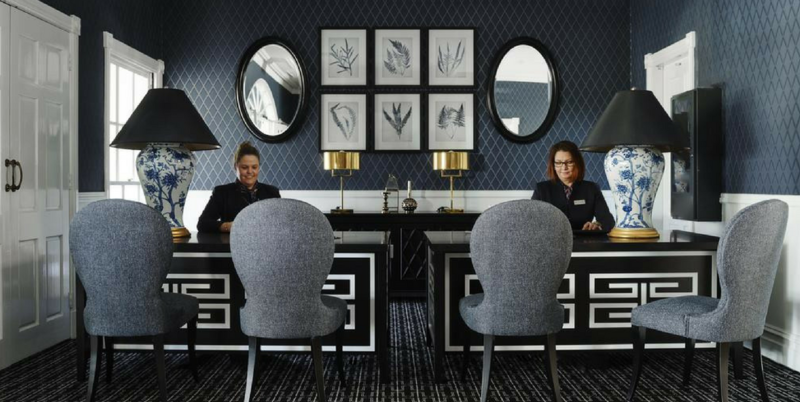 Stretching across not one but two iconic Sydney buildings, the Old Clare Hotel exudes a stylish but understated old world glamour. The vaulted ceilings, parquetry floors and restored architectural features blend with contemporary furniture choices. The rooftop pool offers an up-close view of the city landscape. Bustling Chippendale, with it’s local artistic and culinary scene, is at your doorstep whilst only moments from Central Station. 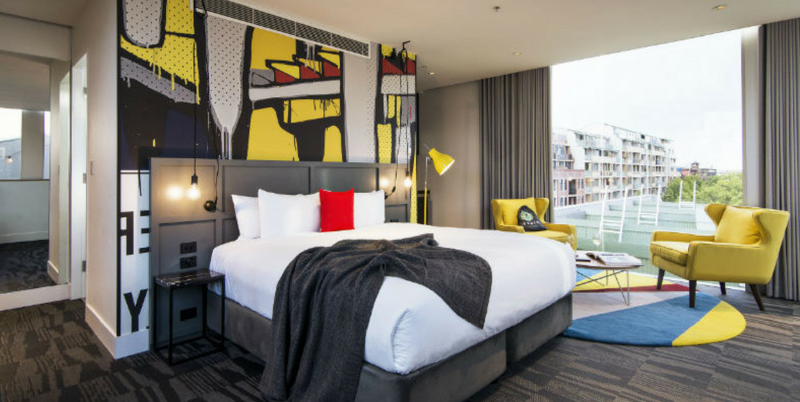 Ovolo Hotels Wooloomooloo offers a slightly more quirky and playful space than their Darling Harbour location. Hassell Studio has fused the heritage location with modern and sophisticated interior selections, creating a cheeky and artistically beautiful stay experience. Located on the pier overlooking the harbour this contemporary hotel is moments from some of Sydney’s best attractions. A short stroll to the Art Gallery of NSW, Botanical Gardens and a smorgasbord of restaurants along the finger wharf. The Darling Hotel located within the Star Casino is for those looking to indulge. 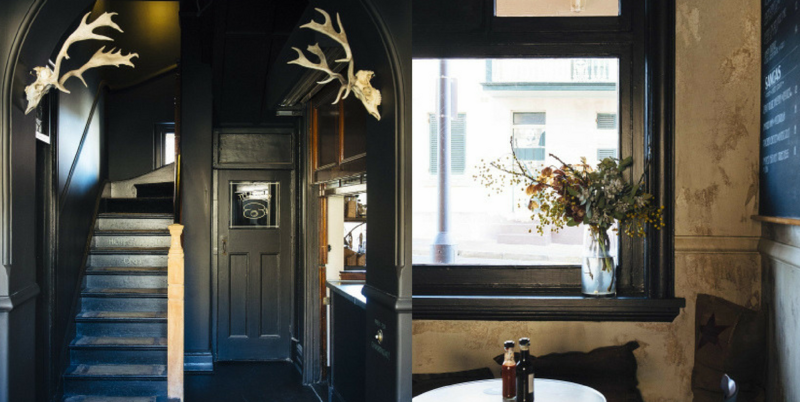 The revamped interior is a wild and whimsical mix of colour and materials. The custom designed carpet by celebrated fashion designer Akira Isogawa brings the space together. The fun and frivolity of the casino is emulated in the interior design choices and offers a fun and intoxicating escape from the daily grind. A hotel that never sleeps. Whilst not technically in Sydney, we had to mention the Sebel Kirkton Park in the beautiful Hunter Valley. 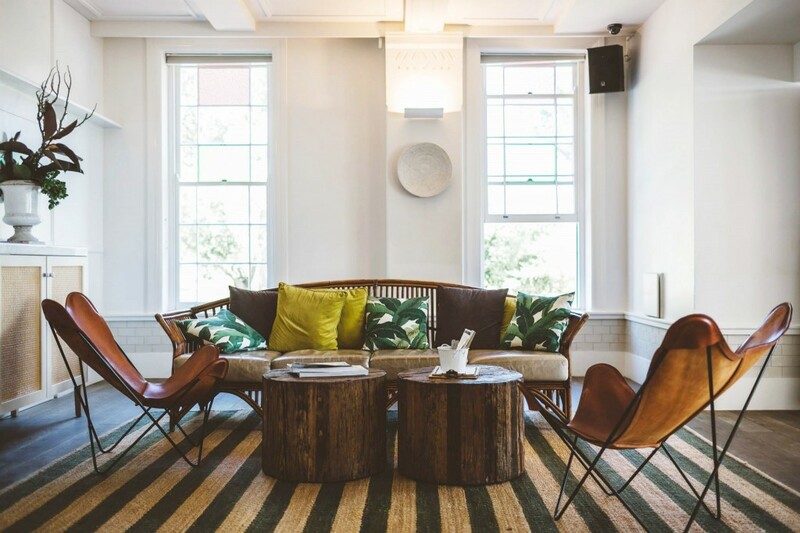 A short 2-hour drive from the city, this recently refurbished hotel really is one of Sydney’s hip hotels. 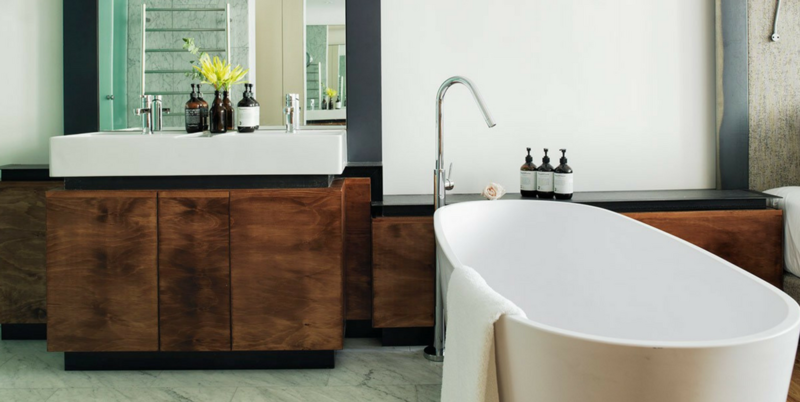 Greg Natale has injected his signature style of sophistication, luxury and opulence to this regional NSW retreat. The monochrome interior palette with deep blue accents, gilt and brass finishes is the height of grandeur. With a destination like this who wouldn’t want to escape and leave the city behind? Where’s your favourite place to stay in Sydney? Tell us below.